This is the seventh in a weekly series of mini-devotionals on GRACE, which is the theme of the 2012 June 2 Worldwide Day of Prayer for Prodigals. How many times has your prodigal said that? And how often is that our response to the scandalous grace of God? Our Bibles are full of stories of undeserved grace. Lived in pagan Jericho. Prostitute. Liar. Yes, she saved the Israelites who came to spy out Jericho. But did she really deserve to be in the line of David, and of Jesus? A righteous Pharisee. A defender of Judaism. A Hebrew of Hebrews. Yet a persecutor of The Way. Murderer of Christians. By his own words, “the chief of sinners.” But Paul is considered the greatest teacher—besides Jesus—of the New Testament. How is it possible that God could use such sinners? Jews always avoided going through Samaria, but Jesus “had to go through Samaria.” Why? He had an appointment to keep, with a sinful woman. Five husbands, now living with a man not her husband. Jesus knew all this. Yet He talked to her—a Samaritan, a woman, a sinner. The shame of it. He told her what he knew, but he didn’t condemn. Instead he offered her living water and a changed life. How is it possible that God could condone such actions? Is it fair that someone who has been a terrible parent has wonderful children, yet you, who has tried to do everything right, has such a prodigal child? Of course not. Is it fair that your prodigal, who has hurt you repeatedly, abused your kindness, rejected your love, should be forgiven and welcomed back? Of course not. But is it fair that we, imperfect, inadequate, unworthy as we are, should be forgiven, redeemed and bound for eternity with our God? Of course not. You see, we are addicted to fairness, to justice, to revenge, to earning our way, to performance. Yet in reality, we truly don’t want God to respond to us based on those addictions. 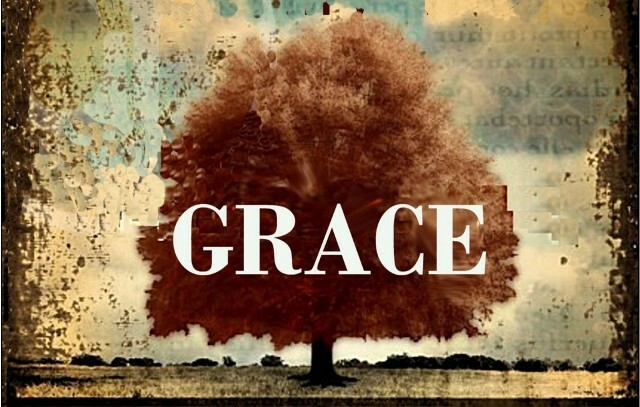 We can’t help but be grateful that God is, in the best sense, addicted to grace. Yes, to scandalous grace! And He wants to pour out that grace on us, but also through us to those much loved, though hardly lovely, prodigals. So, can we enter in, with whole hearts, to God’s scandalous grace? What about you? Where have cried Unfair!? Where have you received grace?